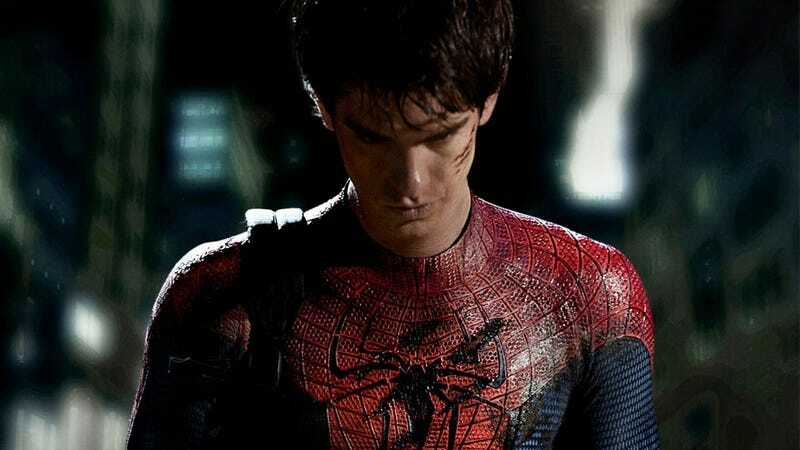 The spectacular Spider-Man is swinging back to movie theaters in 2012, this time with actor Andrew Garfield donning the spider-suit and (500) Days of Summer director Mark Webb in the director's chair. When Activision gets around to the video game adaptation of the Spider-Man reboot, Spider-Man: Shattered Dimensions developer Beenox may be handling development duties. Publisher Activision said today that the Quebec City-based studio would be the "primary developer" on upcoming titles published by the house of Guitar Hero and Call of Duty. Previous Spider-Man games based on the Sam Raimi-directed films were chiefly handled by Call of Duty: Black Ops developer Treyarch, but Beenox has aided in development of web-slinging fare like Spider-Man: Friend or Foe and Ultimate Spider-Man. Garfield's Spidey looks a little leaner, perhaps a little meaner, than the Tobey Maguire version of the friendly neighborhood crime fighter in this publicity still released by Sony. See it in spectacular size below. Another key Activision license, James Bond, is also getting a new theatrical release in 2012. Video game developer Raven Software has been tied to a new Bond game, but Activision hasn't made anything official on its Bond plans just yet.